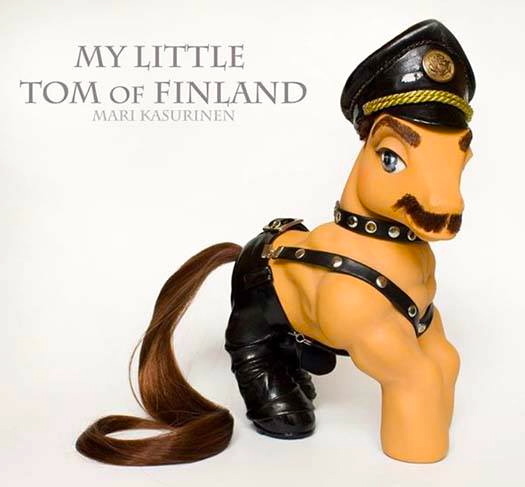 The figure is a hybrid of two (very oddly assorted) creations from popular culture: the cute My Little Pony toys (favored by young girls) and the hypersexual characters from the graphic artist Tom of Finland (favored by gay men). It’s one in a large series of My Little X sculptures by Kasurinen, playfully (and critically) combining the little ponies with characters from popular culture or famous iconic people (“superstars”, as Kasurinen puts it, “presented to us as examples, ideals, even as authorities”). The kids do their best to make sense of what they hear in terms of what they know. Jordan D. Haskins, candidate for Michigan Legislature, wants everyone to know conservatives embrace imperfect people, too. So let him explain his multiple felony convictions for breaking into government vehicles [especially police cars], disconnecting the sparkplugs, and jerking off while the engines cranked. But now he’s up for legislating. We had an earthquake in northern California in the middle of the night on Sunday. Centered in Napa County, where it did some significant damage. Down here on the peninsula, we got some long shaking, but not much otherwise. My windows rattled, but nothing was harmed; not even the pictures on my walls were deranged. Then there’s the media coverage, which prominently uses (in all quake reporting, but especially in headlines) the word temblor, which I don’t think I’ve ever heard in ordinary conversation; it seems to be a journalists’ word. Maybe some journalists think that temblor is a technical, precise term and that (earth)quake is a colloquial and less precise term, but I can find no evidence for this idea. All the dictionaries I’ve looked at, plus the Associated Press Stylebook, treat temblor as a straightforward synonym for earthquake, with no referential distinction. It’s true that temblor is shorter than earthquake, so it’s handy for for headlines. But the clipped quake is shorter than temblor, and has the advantage of easy comprehension. (Tremor is also compact and easy to understand.) But newspapers like the exotic temblor. Adjectives with assumed nouns are asking for trouble, it seems to me. From scrambled, I understand eggs, though it could have been brains. After I inquired, I learned that “chihuahua” refers to a type of cheese I had never heard of. I think “cheese” would have been an important word to include. First, a note on Chihuahua cheese, then on the “conversion by truncation” in scrambled for scrambled eggs and chihuahua for Chihuahua cheese. YMCA Silicon Valley announced in June it intended to close the gym in the Palo Alto Square office complex [at Page Mill Rd. and El Camino Real], citiing declining membership and the need to make costly and logistically difficult renovations. As the expiration of the lease approached, the YMCA said it made more sense to close than to try to save the gym. Unlike most YMCAs, the Page Mill location is an adult gym, and many members see it as an integral part of their social lives. But YMCA of Silicon Valley Chief Operating Officer Elizabeth Jordan told the Post in June that the organization doesn’t want to run an adult gym. “A YMCA that’s perceived as adults-only isn’t in line with the YMCA’s mission,” she told the Post. In the June quote Jordan characterizes the facility as “an adult gym” but then refines that to “perceived as adults-only”, which is quite another matter. In any case, the Page Mill facility certainly presents itself as for everyone. not just the young, men, and Christians. The menu … features items such as the Dirty Hippy Burger with fried Haloumi, Chilli Slaw, Red Onion, Mayo, Hot Sauce and a pickled cucumber in a toasted brioche bun. The erratic capitalization is entertaining, but my focus here is on the ingredient haloumi, a kind of cheese. Since the early 1980s, there have been many LGBTQ spaces on the Net: newsgroups, bulletin board systems, or BBSs, mailing lists, social networks, chat rooms, and websites. But the very first LGBTQ Internet space, as far as I’ve been able to find, was the soc.motss newsgroup. And it hosted conversations that had never been seen before online — and that arguably remain in too short supply even today. The owner of the Dirty Bird Brand has stated that the logo was just a unique way to change the “B” and the “D” look like a small rooster. 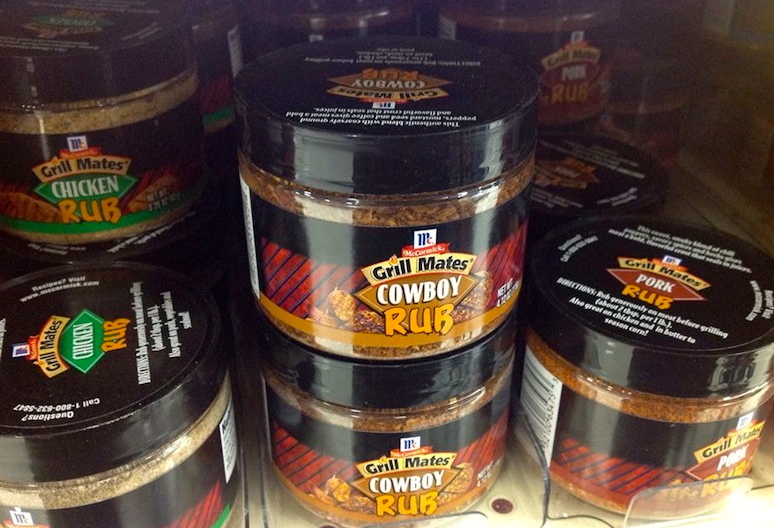 … The food company has also started using posters that state ” Touch My Thigh” and “Touch My Breasts” … Although, Dirty Bird owner Neil Young has backed his statements that these were not meant to be obscene. 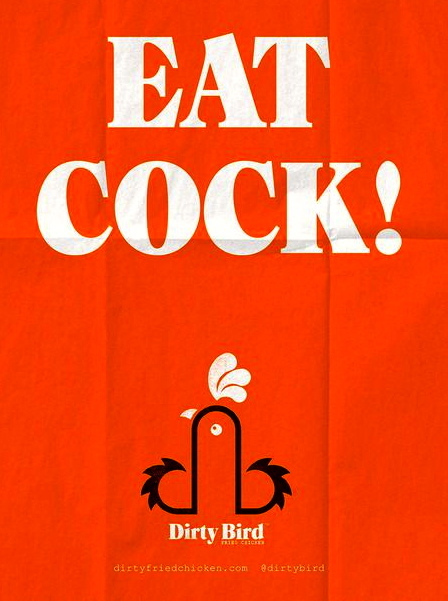 Dirty Bird let http://www.metro.co.uk know that the images were in no way meant to upset their customers … They wanted a fun way to portray a rooster. That’s all. You are currently browsing the Arnold Zwicky's Blog blog archives for August, 2014.